Ann Landry, charter broker at Northrop & Johnson has notched up over 30,000 NM sailing her own boat before co-captaining charter yachts in the Caribbean. This adventure was most valuable in preparing her for the job as a charter agent arranging holidays for clients worldwide. In 2010, Ann was presented with the prestigious Charter Broker of the Year award by the Florida Yacht Brokers Association. She can prepare exciting itineraries as well as advise on the hottest spots and the places to visit for total isolation and relaxation. The Amalfi Coast is great for clients looking for a more sophisticated, cultural charter. I like to suggest to clients that they cruise from Naples around the Amalfi Coast, which gives them the opportunity to visit the Herculaneum, the ancient Roman town that was nearly destroyed by the eruption of Mount Vesuvius in 79 A.D., as well as the Vesuvius volcanic site itself prior to boarding their charter yacht. Capri is a very chic and happening place, but Ravello is a town that must be seen. Perched on the top of a rocky cliff overlooking the sea, the town itself is alive with art and culture. Further south, head through the Straits of Messina to the Taormina province on the northeast end of Sicily. The mythical Straits of Messina are believed to be of Homeric Legend. The straits themselves are very narrow and the current rips through there. Definitely plan a visit to the Etna volcano,you can hike through the snow to the mouth of the steaming volcano. 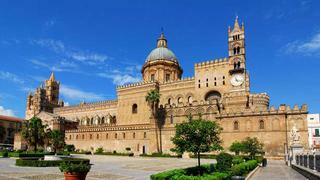 Also in that area is the Paolo Orsi Archaeological Museum in the Province of Syracuse. The Aegean is an exposed sea between Greece and Turkey and is subject to the Meltemi winds. The islands here are sparsely vegetated and have a stark but arresting beauty. During July and August, the waters can be extremely rough so I always advise clients to have to have a back-up destination. 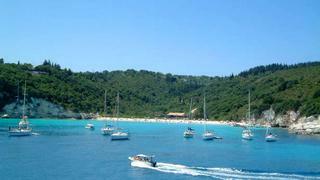 The islands in the Ionian Sea are more heavily wooded and feature a distinct Venetian influence. Having been a maritime and oversees possession of the Republic of Venice for nearly four centuries, the Venetian influence is very apparent, from the architecture to the food. This area does not see a large volume of boats and isnt as busy as other Greek cruising grounds. The value of going to the Ionian islands is to escape the Meltemi winds and be close to Croatia, where your charter can end. (Regulations do not permit charters to begin and end in Greece). Ahhh, Montenegro. This is the gem. If youre not arriving by boat, the coastal town of Tivat has a well-connected airport. You can easily meet your yacht at the Porto Montenegro marina. Montenegro is a very naturalistic place. Throughout the province one can enjoy boating, white river rafting, and even skiing. I highly recommend visiting the walled city of Kotor. You might see tour groups in this charming town, but not the hoardes you would find elsewhere. Kotor is also home to great nightlife. For excellent dining in a very relaxed atmosphere, a visit to the Stari Mlini restaurant is a must. This five-star restaurant is a converted mill that is situated at the edge of the water on the Bay of Kotor. Not only is it beautiful and romantic, it features lots of local delights and plenty of seafood. The menu is fresh and fantastic. A few miles to the northwest of Kotor is the old town of Perast. Lacking a walled perimetre, this city is known for its nine defensive towers built by the Venetian navy in the 15th and 16th centuries. For a breathtaking view and a bit of exercise, climb the belfry tower at St. Nicholas Church. The climb is not for the faint of heart, but the view of the mountains, islands and bay from the top is worth the effort. Istanbul is amazing; its a very seductive city. I highly recommend at least two days in Istanbul prior to the start of your charter. While there, you must check out Sunset Grill & Bar. Sit out on the lawn overlooking the Bosphorus and unwind. Fly to Izmir to see the ruins of Ephesus. Its an amazing site, even if a little overrun with tourists. Once aboard your charter yacht, set-off for a cruise to Bodrum and Göcek to enjoy the natural environment. The Dalyan river trip might be no secret, but I do recommend Caunos, a precious little ruin between Mamaris and Dalyon that is an isolated, little Greek ruin and amphitheatre. In the evening, we can arrange to have a bellydancer come aboard your yacht for a taste of the Turkish culture.